A lifelong Oregonian, Ann has been throughout much of the state traveling, camping and fishing. She and her husband, Rob, have enjoyed owning horses for many years and Rob currently competes in cutting. They have two grown children they love to spend time with, and whose outdoor activities range from golf to fly fishing and more. 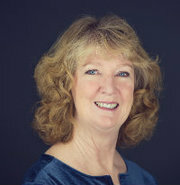 Ann is a licensed realtor in Oregon and Washington. Ann and her husband have owned, renovated and sold homes, rentals and small acreages over the last 35 years. She utilizes that experience to help her clients with their real estate needs. Ann's goal is to provide exceptional customer service! She listens carefully, is accessible, and will do her best to fulfill a client's with list. She loves life in Eastern Oregon and looks forward to working with you.